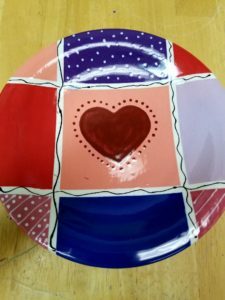 Today we will be painting a Valentine heart design plate. Choose your favorite colors and design the different sections of your plate. $10 per plate.